Can flaxseed oil help treat symptoms of ADHD? Autism generally presents in children before the age of three, heavily affecting their ability to communicate and interact with the world around them, according to Kid's Health. The symptoms of autism and autism spectrum disorders can share characteristics with symptoms and behaviors typically found in children with Attention Deficit/Hyperactivity Disorder (ADHD). As a result, medications used for ADHD are also sometimes prescribed for autistic children. Ritalin is one of the best known brand-name medications for children with ADHD, making it a prime candidate for use in controlling hyperactivity in autistic children. In a study of 72 children with autistic symptoms published in the Journal of the American Medical Association Archives of General Psychiatry, children taking Ritalin exhibited fewer symptoms of hyperactivity than those on placebo. Researchers noted that this showed the usefulness of Ritalin in autistic children, but did say that the drop in the level of hyperactivity was not as strong as in traditional ADHD-only treatment cases. Wales Online notes that Ritalin is an ADHD medication used internationally to treat autistic children. Another medication commonly prescribed to both autistic children and children with ADHD is Strattera. Wales Online notes that Strattera is a non-stimulant medication traditionally given to children with ADHD to control their behavior, and it is one of only two drugs in its class. Autistic children under the age of sixteen are the most likely to receive Strattera to help control their hyperactivity and improve functioning in public environments such as classrooms. The American Journal of Psychology reports that Risperidone is a medication that can be prescribed for children with autism. 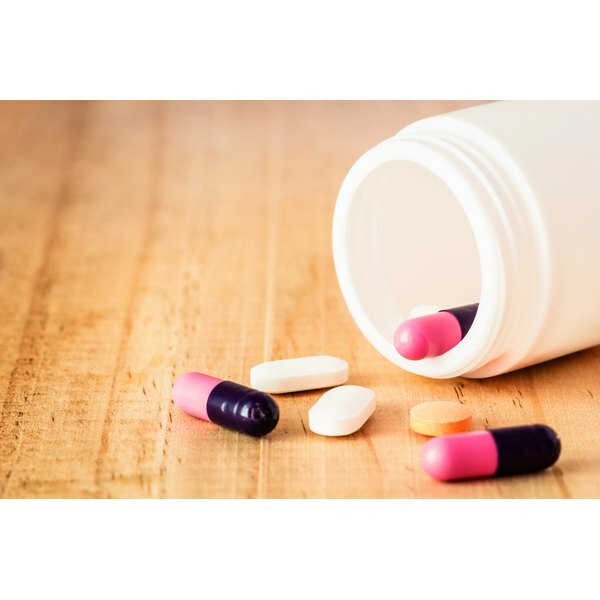 Risperidone is an antipsychotic that can be used to control the aggressive acting out that is associated with ADHD and certain types of autism. The effectiveness of the medication in children with autism was tested in a placebo-controlled study, and it was found that side effects were limited and there were improvements in social interaction. Jamie Simpson is a researcher and journalist based in Indianapolis with more than 10 years of professional writing experience. She earned her B.S. in animal science from Purdue University and her Master of Public Affairs in public management from Indiana University. Simpson also works as a massage therapist and equine sports massage therapist.